We found 16196 results matching your criteria. The VQV Furniture Group offers its collection of office desk configurations for the most sophisticated executive suite and for your stylish home office. All at an amazingly low price. Another appealing feature of our office desks is the multitude of office storage cabinets to choose from to make your work space more efficient. Our discount office furniture includes desk drawers, lateral files, and wardrobes to accent your executive office furniture. Our office design specialists can help you select the best office furniture to improve your office productivity and help you save time and money. Your conference tables, along with your conference room chairs often define the first impression your clients receive as they meet with your business associates. The office design and furniture layout in your conference room needs to be stylish and highly functional for your clients and office associates. We are confident the Verified Quality and Value of our conference room furniture will exceed your expectations. Give our office design specialists a call to make sure the furniture you purchase meets your space requirements and budget. Your reception desk and furnishings provide your visitors the first impression of your business as they enter your office. This impression can make a positive statement about your business. Our reception desks, and reception area furniture not only help you make the positive impression your customers expect, our low prices help you maintain control of your budget. We can help you furnish your reception desk area and lobby to meet your space, design, color, and furniture needs. Your office chairs and functional seating can help you accomplish specific tasks, improve your productivity and enhance your creativity. Once you determine how your office chairs and seating will be used we can help you decide which chairs best fit your requirements. We have arranged our office chairs and seating arrangements into the most relevant categories to help you select the right chairs for the right applications. Integrated Power, USB, and Data Access - Today's high-tech conference rooms, training centers, common areas, and desktops demand advanced power, USB charging connections and communication capabilities for data, voice, audio, and video. These advanced technology modules meet both light and complex conferencing, training, and public access needs. They can also bring added functionality to the office desktop and to your break room or lobby tables. Height Adjustable Tables and Desks can help prevent back injuries at work. When you can't stand sitting down at your desk, stand up for your well-being at the office. Our Adjustable Workstations are offered in a wide range of sizes, styles and configurations to complement the most widely used office furniture systems. Our lunchroom and break room tables, stools, and chairs come an a variety of shapes, and sizes. Our chairs and bistro stools feature cushioned seat and backrest with fabric, mesh, plastic, or vinyl upholstery. Solid wood and metal frames are available in your choice of colorful laminate finishes. Both the stools and the chairs are shipped with a fully assembled wood frame. In today's ever changing economic environment, ongoing training of your employees and clients is an essential aspect of business success and growth. When managing your meetings and business training sessions you need to be confident the configuration of your tables is correct, and that the quality of the tables you purchase is sound. Whatever your training table or meeting table needs are, we are confident the quality and value of our training tables and ongoing service will exceed your expectations. Flexsteel - Beauty, quality, and function together. Our office design and construction go hand in hand to create comfortable, long-lasting furniture. We’ve proven our commitment to craft through our namesake Blue Steel Spring, which has performed so consistently since its development that its design has not been radically changed in over 75 years. All of our products are built-to-order. This enables us to quickly and efficiently manufacture exactly the product you need, when you need it. We ship our product on time, complete, and correct 99.67% of the time. Our lead times are typically 10 days or less. We are world-class in lean manufacturing, and continuous improvement is baked into our processes. Other manufacturers regularly tour our facilities for benchmarking purposes. GO is the proud recipient of the OFDA Dealer Choice Award for filing. OFM is a family-owned office furniture wholesale operation that specializes in providing affordable furniture to general businesses and government offices, as well as schools and hospitals.Today's offices have many complex and diverse requirements. Different people have different needs. Knowing this, OFM has expanded its offerings to include furniture for the basic office to the executive suite and everything in between. The finest things in life don't have to be expensive. The VQV Furniture Group offers Mayline office furniture collections that are perfect for the most sophisticated executive office and for the most stylish home office decor... All at an amazingly low price. 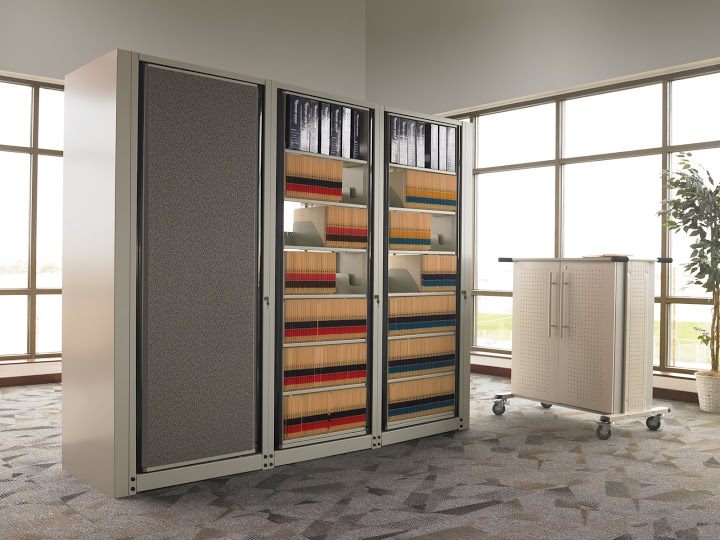 Another appealing feature of our Mayline office furniture is the multitude of storage elements to choose from. Executive storage credenzas, two - and four-drawer lateral files, credenza cabinets, and buffets accent the office desks and conference table options. Dedicated to developing uncomplicated, long-lasting, and sometimes playful solutions for public spaces, we take a thoughtful approach to furnishing libraries, higher education, lounges, lobbies, restaurants, or any kind of community hub. Wherever people gather to meet, study, work, research, or surf, conditions are prime for Sparkeology. Watson Office Furniture - Our office design specialists and space planning professionals can help you turn an ordinary office space in to an extraordinary workplace for you and our colleagues. Give us a call at 877-878-8770 to save time and money on our Watson office furniture collections. As you serve your customers the best quality ingredients and foods, make sure you surround them with comfortable seating and quality tables. The VQV Furniture Group offers a broad range of comfortable seating solutions and quality tables for your customers and associates. Our restaurant, lunchroom, and break room seating and tables come in a variety of shapes, and sizes. 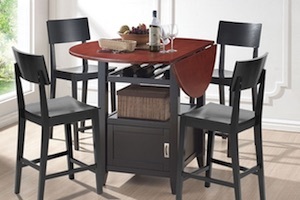 Our chairs and bistro stools feature cushioned seat and backrest with black vinyl upholstery. These classroom tables and chairs are available in fun and imaginative shapes to create a wide range of individual or group options. 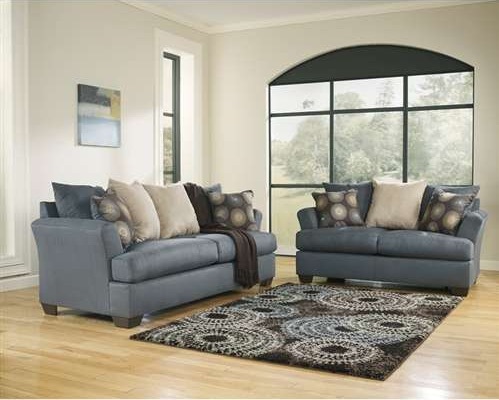 The balanced construction with high pressure laminate or plastic for durability. The impact resistant edge makes joining tables easy in collaborative applications. These collaborative group tables provide flexibility in classroom configurations. Your reception area seating provides your visitors their first impression of your business. Our quality, comfortable, and stylish club chairs, settees, and sofas will help you turn an ordinary lobby area into an exceptional waiting room or lounge area for your clients. In addition, our discount prices will help you maintain control of your budget. We offer a complete line of reception and lobby seating that will make your clients feel welcome as they approach your business. Our office specialists can help you design an attractive lobby and functional reception area that truly reflects your corporate image and budget. Mayline Mira Office Furniture is a complete modular collection of executive desk configurations. MIRA offers freedom and flexibility in private office design. Featuring a hardwood edge, desk tops of 1-1/2" thickness, and the AA grade North American veneers, MIRA's Medium Cherry finish provides an elegant and classy office look. When designing an office interior for maximum performance, versatility and style, take a close look at MIRA. This executive office furniture is a complete modular series of desks, files and cabinets. We will be happy to help you design a configuration to fit your work space needs. MIRA's limited-lifetime warranty gives testament to its exceptional quality. Functional and beautiful, affordable and always available. Mayline Aberdeen Office Furniture is an all-laminate line of executive office desks and office storage cabinets designed to perform. Beauty and balance are provided to any office setting with simple, yet functional details in a transitional office style to meet the needs of today's fast paced business environments. Its durable 1 5/8" thick surfaces, vertical grain modesty panels and distinctive fluted edge provide a consistent aesthetic throughout. A wide variety of executive office configurations enhance workplace flexibility and provide multiple storage solutions that meet both personal and office collaboration needs. The entire Aberdeen line is in stock with a 72-hour lead time and is backed by a limited-lifetime warranty. Value, Quality, and Affordability, are the features you have come to expect from the Mayline Group. Mayline Corsica Office Furniture appeals to those with sophisticated tastes. Feeling right at home in either a contemporary or traditional office setting, Corsica offers refinement and quality typically found at two or three times the price. Executive office configurations have surfaces that are a full 2" thick with a tapered edge for a comfortable, yet substantial feel. A combination of storage cabinets, credenzas, returns , hutches, and wall units fill each office with productive elegance while maintaining the overall aesthetic of the line. DMI Pimlico Office Furniture makes a bold, modern statement by combining wood, metal, and glass elements into an attractive, yet affordable package. Floating work surfaces are anchored by sturdy, functional pedestal bases, while the perforated silver modesty panels and frosted glass doors give Eclipse executive desks a strong sense of fashion. Offered in a choice of either a rich Espresso Walnut or inviting Warm Cherry finish, Eclipse is sure to please the forward-thinking organization. Take a step towards the future. Mayline Luminary Office Furniture is designed with today's sensible buyer in mind. The Luminary executive office furniture provide quality and versatility at an amazing price. Luminary is available in two finishes with AA-grade North American hardwood veneers used throughout. Veneers are book matched and highlight the natural beauty of the Cherry and Maple grain. Whether it is for private offices, conference rooms, or reception areas, Luminary is the smart choice. Who says you cannot afford first quality, wood furnishings? Mayline Napoli Office Furniture combines clean,modern lines with stylish accents and a wide selection of storage options. Curved desk surfaces merge together to define your space with elegance and efficiency. Napoli is hand-crafted with AA-grade North American select wood veneers using a 14-step finishing process to insure uncompromising quality and consistent beauty. Mayline Sorrento Office Furniture is the newest member of the REAL Office family of veneer wood furniture. Sorrento executive desks combine multiple species of hardwood veneers into an elegant, sophisticated offering that will appeal to the most discerning of tastes and the tightest of budgets. Luxurious wood veneer, leather lined letter trays, frosted glass doors, wardrobe cabinets and personalized stainless steel handle options make late nights in the office feel a little more like home. Sorrento is available in a Bourbon Cherry finish and an Espresso finish with AA-grade North American Hardwood veneers used throughout. Toscana Office Furniture is a collection of classic designs with an eye toward the future. In all of our executive desk collections, quality is found in every detail. Every surface, inside and out, features fully finished AA-grade North American veneers. Hardwood moldings and inlays accent the all-veneer casegoods. Hutch doors are available in a choice of wood or beveled glass where you can display your favorite items in style. These are details found in only top-off-the-line casegoods. When adding Toscana is affordability into the equation, the value is impossible to ignore. Mayline CSII Office Furniture has executive desks from the Mayline Group. Now there is no need to agonize over style, function, versatility or price. Building on a design using rugged all-steel construction, we have created a line of executive desks that boast of sleek functionality and a stylish new look, all in a package that registers high on the affordability scale. Now you can truly and creatively fine-tune your furniture to fit the personality of your office, from comfortable neutrals to bright, energizing colors.